Israeli soldiers, and Israeli navy ships, opened fired on Thursday at dawn, at many Palestinian farmers, shepherds and fishermen, in several parts of the besieged and impoverished Gaza Strip. 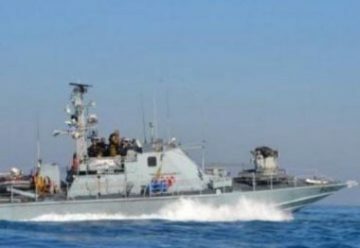 Media sources in Gaza said Israeli navy ships fired dozens of live rounds at fishing boats, and at the coast in the Sudaniyya and the al-Waha areas, in central Gaza. They added that the soldiers, stationed in military towers across the perimeter fence, also fired live rounds at Palestinian farmers, and shepherds, on Palestinian lands in Khan Younis, in the southern part of the Gaza Strip, and in Deir al-Balah, in central Gaza, in addition to areas east of Gaza city.